Deciding where to stay in Rome is no easy feat. Rome has 22 districts, or rioni. That’s a lot to digest as a visitor to the Eternal City! Each neighborhood has a distinct personality, price tag and atmosphere to consider when you pick your temporary home in Italy’s capital city. Ranging from hip and historic to authentic and low-key, the best neighborhood to stay in Rome depends entirely on you. For an introduction to the main neighborhoods in Rome, read on! Don’t go it alone while you do your sightseeing in Rome. Join our outstanding English-speaking guides on one of our best-selling Rome tours of the Colosseum, Vatican Museums and much more. See for yourself why we’ve earned thousands of five-star reviews on TripAdvisor. 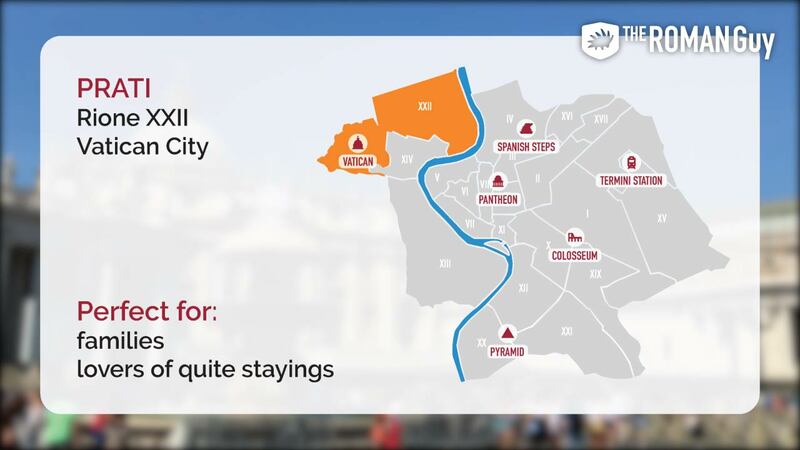 While there are 22 rioni, or districts, in Rome, most visitors to the Eternal City stay in less than half of these. Deciding where to stay in Rome is easier once you’ve narrowed your choices down. 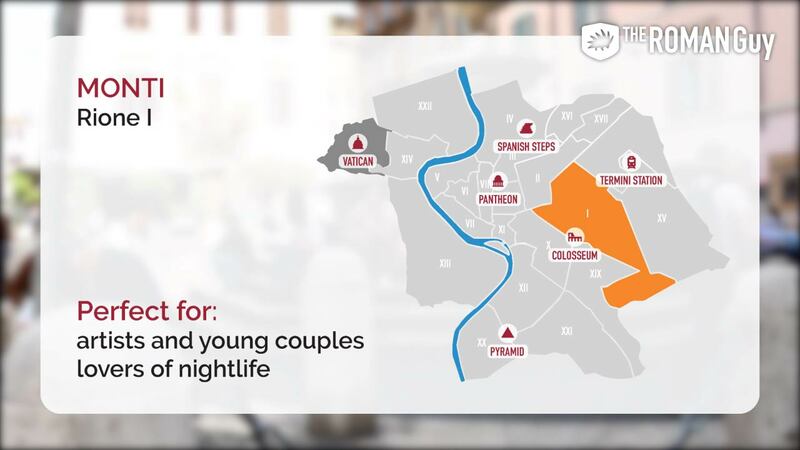 We’ve taken the time to break down and rate each of the following six neighborhoods in Rome on factors that include attractions, transportation and affordability. While the sites and monuments of Rome’s historic centre are most associated with the city, staying in the pricey and congested neighborhood isn’t for everyone. Likewise, if you find yourself in a more quiet and far-flung area of the city, but feel FOMO because you can’t look out your window at the Pantheon, it also isn’t ideal. 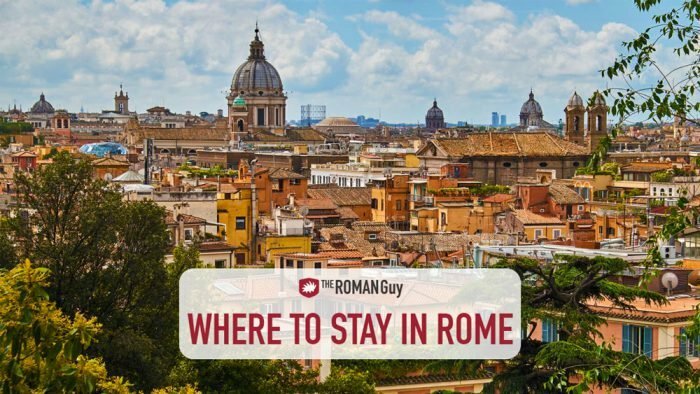 Before you pull up a website and begin scanning for a hotel, B&B or short-term apartment rental, read this guide about where to stay in Rome first. Trastevere, whose name translates to “beyond the Tiber”, is a charming, bohemian neighborhood. Filled with great spots for food and drink, plus a plethora of independent shops, the atmosphere is hip and social. 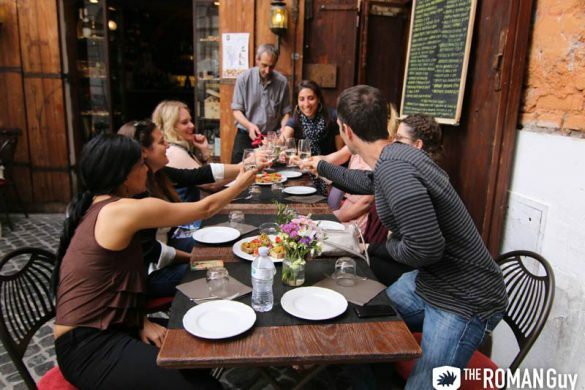 Trastevere has a buzzing nightlife scene for tourists and locals alike. So, if you’re a night owl or a foodie, this is a good choice for a home base. 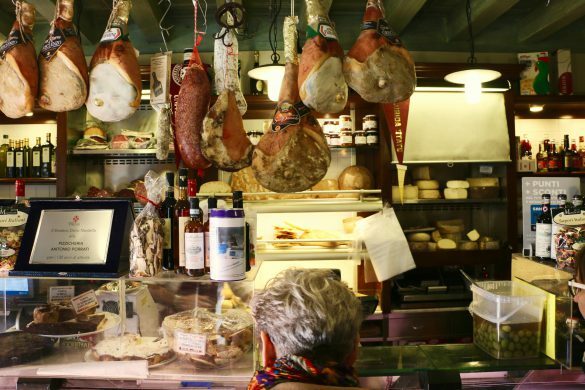 In fact one of our best Rome tours is right here, exploring the best food in the neighborhood. Stay here if your idea of a perfect neighborhood is more offbeat than glamorous, and you enjoy a lively and friendly atmosphere with picturesque cobblestone streets. While the Trastevere neighborhood doesn’t claim the biggest attractions in Rome, it’s home to several historical and cultural places to witness. Even you don’t end up staying in the area, make a point to visit Tiber Island, the Ponte Sisto bridge, San Cosimato Market and the Basilica of Santa Maria. To get to the big-ticket attractions, hop on a tram or a bus. There’s also a local train station to get to the Fiumicino airport. Within the neighborhood, walking is best. Prices range from affordable to luxury, but places in Trastevere typically aren’t as spendy as the areas near the main tourist attractions. See our full Trastevere neighborhood guide here. The Spanish Steps and their surrounding neighborhood are widely regarded as the most beautiful part of Rome. Neoclassical buildings in beautiful condition line the streets. Home to most of the major sites first-time visitors to Rome want to see, staying here is advantageous. Simply walk out the door and find yourself instantly immersed in the gorgeous and historic heart of the Eternal City. This is THE main shopping district in Rome. If you’re a fashionista, Via Condotti hosts some of the best haute-couture shopping in Europe. Bars in this area typically close early, but there are clubs, like the famous Gilda, where the rich and beautiful come to play. If you want to see and be seen, this is your scene. Hotel rates are among the highest in Rome. Stay here if you’re budget is flexible and you want to be smack dab in the middle of the best attractions in Rome. Metro stations link the Spanish Steps to the Vatican, Termini Station and Colosseum. The Spanish Steps, or “Spagna”, station is literally underneath the Spanish Steps. Taxis are readily available in at any time day or night to transport you to your Rome tours or anywhere else you need to go. 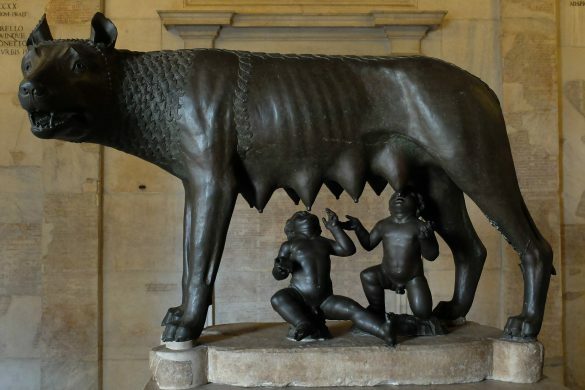 In ancient Rome, Monti was a seedy, outlaw slum and home to Rome’s red light district. Julius Caesar lived in Monti prior to becoming Pontificus Maximus. These days, it’s quite the opposite. A hipster hotspot, Monti is filled with artists and Romans lucky enough to inherit apartments along the pastel colored streets. Despite the fact that Monti borders Rome’s major tourist attractions, the neighborhood is a quiet treasure. The name “Monti” translates as “mountains” in English. The area was home to four of the seven famous hills that once made up the city of Rome. 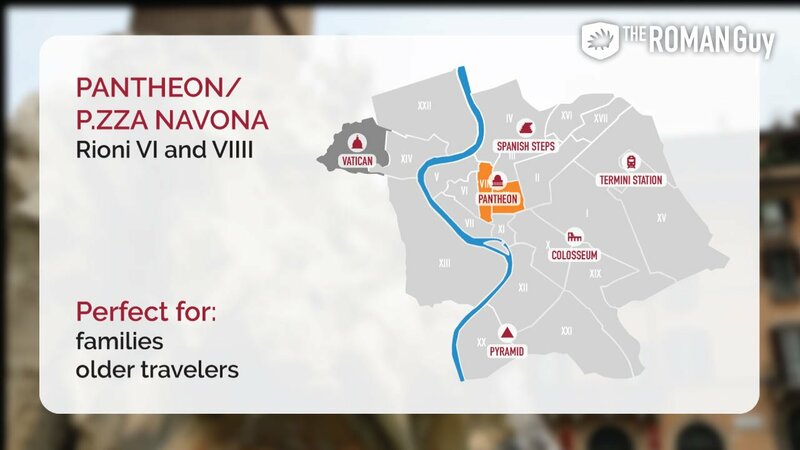 Centrally located, it’s just a short walk from the Colosseum and Piazza Venezia, two spots we hit on many of our Rome tours. If your idea of a good time is exploring vintage clothing stores, consider staying in Monti. There’s also a popular flea market—the Monti Vintage Market. 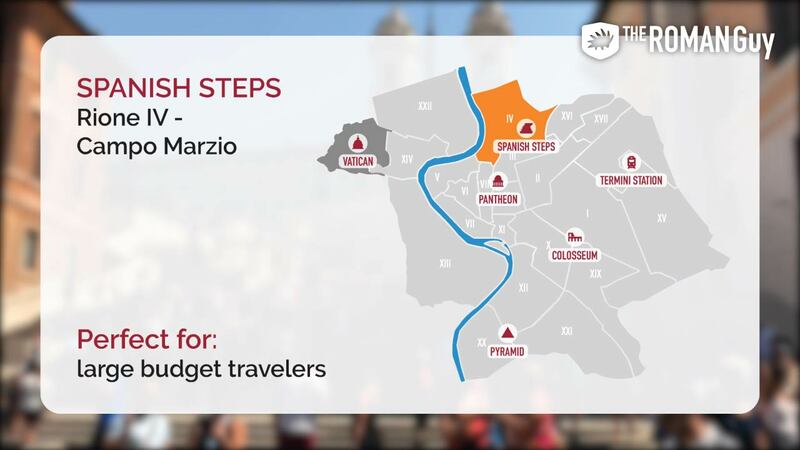 It’s possible to walk almost anywhere from here besides the Vatican. If you prefer to take the subway, the Cavour, Termini and Colosseo stops are nearby. After dinner, Monti comes alive with young people out to enjoy Rome’s nightlife. An absolute favorite spot in the neighborhood is Black Market, a cozy hipster bar with artisanal cocktails and indie tunes. See our full Monti neighborhood guide here. Rome’s most enchanting neighborhood is centered around the Baroque-style Piazza Navona. From well-kept Renaissance architecture to impressive fountains, this area is a sensory overload of beauty. Piazza Navona and the Pantheon could easily be split into two areas, but they share many features. Like the Spanish Steps, this is the spot for luxury. The rates are among the highest in Rome for posh hotels, chic B&Bs and upscale private apartments. Walking out of your door onto cobblestone streets is almost a guarantee, and the most popular attractions in Rome are right there. Avoid the restaurants that line the Piazza della Rotunda, in front of the Pantheon. Except Da Armando al Pantheon – a place that serves up delectable and traditional Roman cuisine. If you’re a nightowl and you want to party, There’s an abundance of bars near Piazza Navona including some rooftop hotspots. Nearby Campo De’ Fiori, another Rome neighborhood is also crowded with bars. Read more about the Pantheon in Rome. Across from Vatican City lies Prati, a calm and elegant modern Roman neighborhood. Perfect for anyone planning a religious trip or for groups of elderly people who might encounter trouble with old buildings that lack elevators, Prati is one of Rome’s best-kept secrets. This is also one of the few districts in Rome not overtaken by tourism. This is surprising, because the Vatican and St. Peter’s Basilica are located right here. The neighborhood also doesn’t look like a typical postcard of Rome, but it doesn’t lack charm with with its modern European charm and it’s high-end shopping street, Via Cola di Rienzo. Regardless of your travel budget, there are plenty of accommodation options to choose from in Prati. The attractions here are obvious. The Vatican City, Sistine Chapel and St. Peter’s Basilica are right here, which is perfect if you’d like to book a Vatican Museums tour. Don’t miss Castel San’t Angelo or the Ponte Sant’Angelo either. 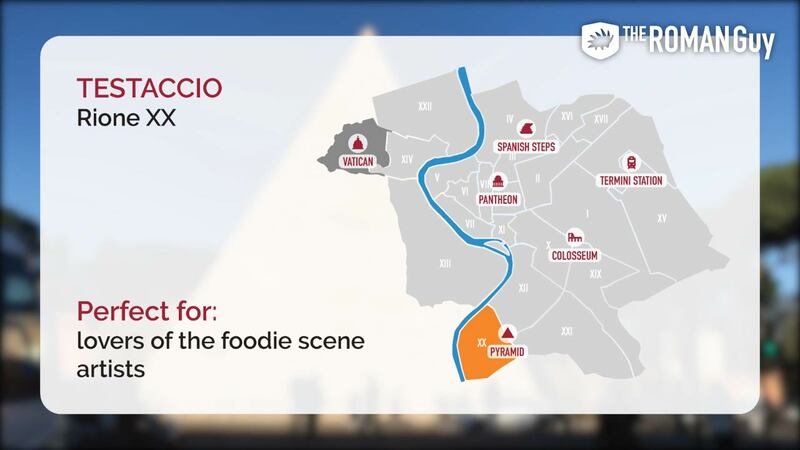 There are plenty of delicious places to eat near the Vatican. As this is more of a residential area of the city, there is little to no nightlife. Since few bars stay open until two, a good night’s sleep is almost guaranteed. 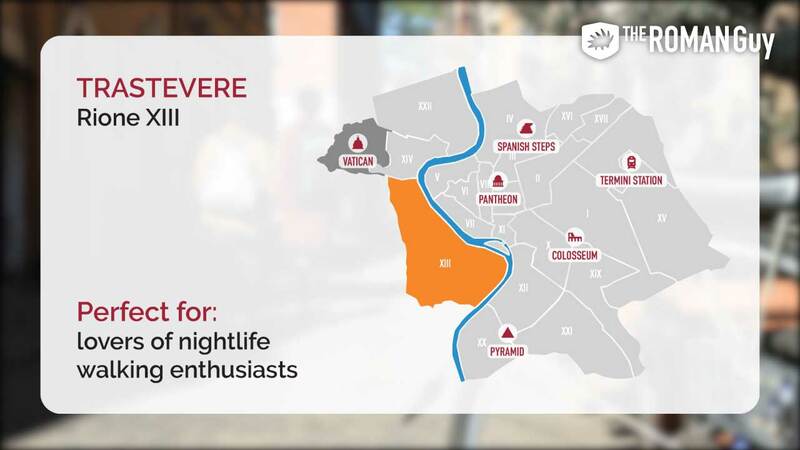 See our full Vatican neighborhood guide here. Testaccio has an abundance of fantastic food, rich history and vibrant character. 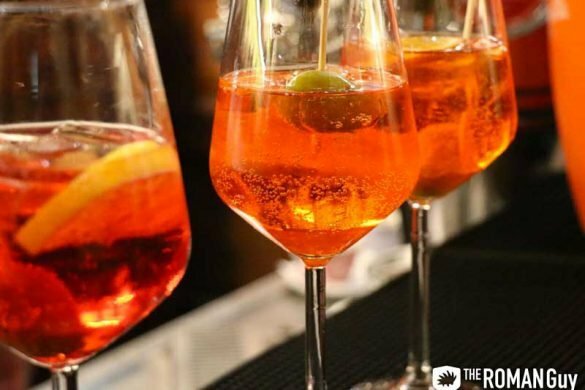 Stay in Testaccio if you want to immerse yourself in the local life of Rome. Don’t stay here if you want to look out your window and see the Spanish Steps. Testaccio is a pick for creatives, hipsters, twenty-somethings and families. If you’ve already been to Rome a few times, or you’re on an extended trip, Testaccio is a good pick. Plus, due to the lack of tourists, accommodation rates are quite reasonable. The buses in Rome are difficult to conquer – taxis don’t often come through the area. But don’t let it prevent you from staying here. Think of it as a challenge to get to know the city on a deeper, more authentic level. By far, the most outstanding element of Testaccio is its foodie scene. The neighborhood is home to one of the best food markets in Rome, the Testaccio Market. Once home to the biggest slaughterhouse in Europe, Testaccio is now a hip neighborhood and mecca for the best food in Rome. Testaccio is linked with classic cucina povera, a word that translates into “poor kitchen”. Even though this cuisine was once eaten out of necessity, it is widely enjoyed today. This is because of the area’s proximity to the massive slaughterhouse that once defined the neighborhood. These days, the new market and eateries have transformed the neighborhood into a food-lover’s dream destination. Check out our guide to the best places to eat in Testaccio. Why are the Teenage Mutant Ninja Turtles Named After Famous Renaissance Artists? Ciao Kathleen! Thanks for your comment, and we’re very happy to hear that you enjoyed this blog. You should definitely visit Rome ASAP, you’re gonna love it! We’d love to welcome you on one of our many Rome tours during your stay. Hope to see you soon in the Eternal City! Ciao Sofia! Glad we could help you!